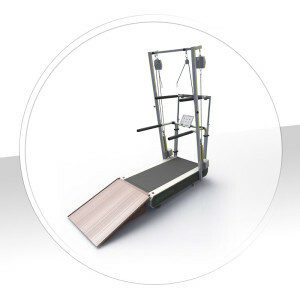 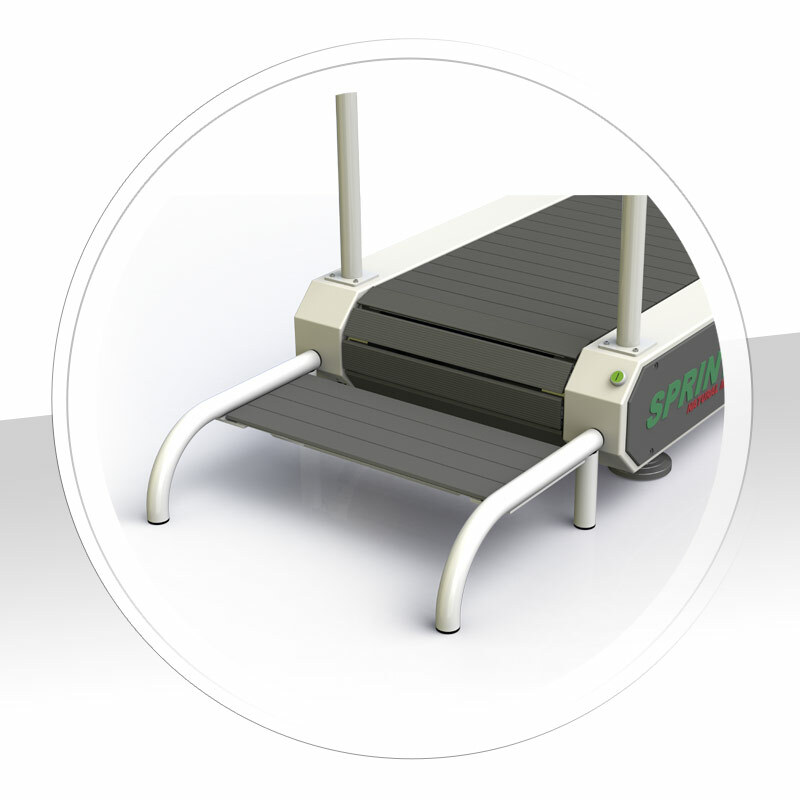 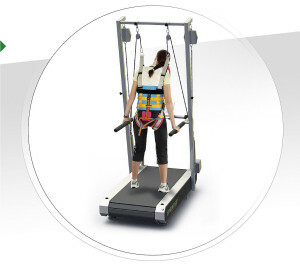 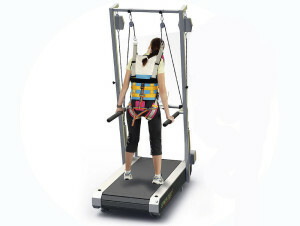 This slat-belt treadmill with integrated corsage system includes a patient lift as well as the new s²ap running surface (Sprintex shock absorbing profile). 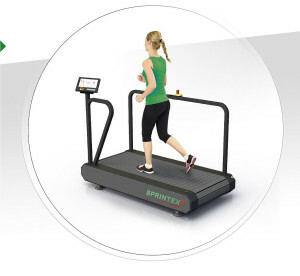 The treadmill is not only easy on the joints, it is also very accurate and has good adjustable low speeds. 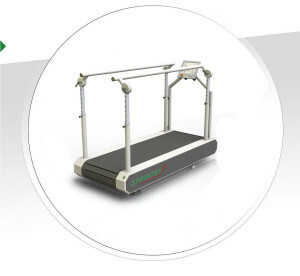 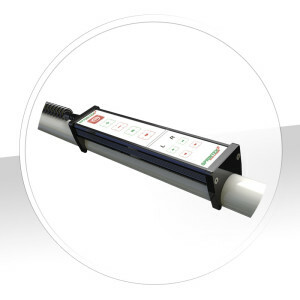 It is ideal for static locomotion therapy in neurolgoy or geriatrics. 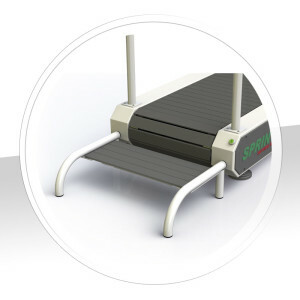 Additional benefits are simple to use and the treadmills have a long life and low operating costs.